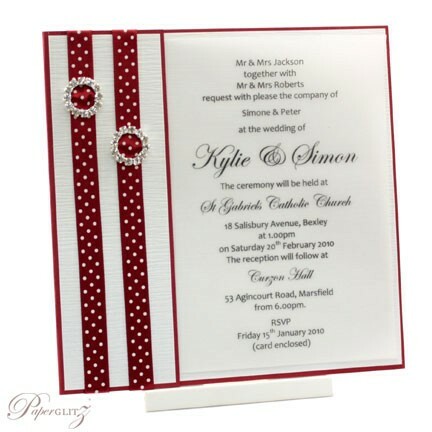 The 14.85cm Fold Over Invitation Card is very popular for creating gorgeous but affordable invitations and is widely used for both wedding invitations and christening invitations - both professional and DIY. This 14.85cm Fold Over Invitation Card is made from our beautiful premium metallic light silver 300gsm card stock from Italy (similar to Curious Metallics Lustre but a little more neutral in colour) and is double sided in colour. This DIY Invitation Card arrives flat packed & unfolded making them easier to print. 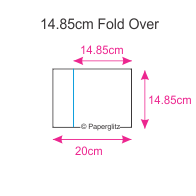 When folded they measure 14.85cm x 14.85cm square. Tip : When working with scored cards, the bump on the score (or fold line) is always the inside. When ready to fold, place on clean flat surface with bumps facing up and gently fold the card over and align the edges. Whilst holding the edges together, gently flatten out the fold. For best results, make the fold sharp by rubbing gently with the back of a clean spoon. This 14.85cm Fold Over Invitation Card is made from paper that is manufactured in Italy and is converted and packaged by Paperglitz in Sydney, Australia. Crystal Perle™ is specially imported by Paperglitz and has quickly become one of Australia's favourite metallic paper ranges. It is very popular for wedding invitations as it is a premium quality paper with fantastic batch & colour consistency and is affordably priced. 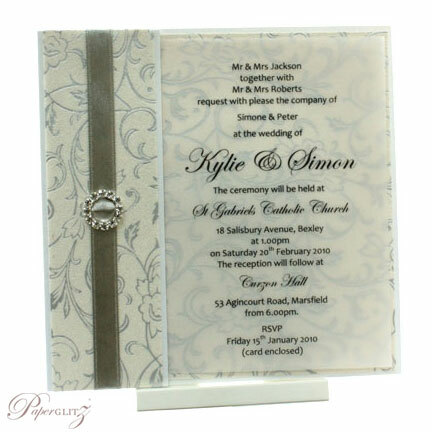 Buy with confidence and specify only "Genuine Paperglitz 14.85cm Fold Over Invitation Cards" for your next project. Crystal Perle is a trademark of B M G Marketing Pty Ltd, trading as Paperglitz and may not be used without prior written consent. Unauthorised use is a breach of Australian and International Law. I just love Paperglitz products. They are so beautiful!